Unless you’re in the ice cream business, the 8 weeks from Black Friday to the end of season sales are crucial. You need to be extremely well prepared. 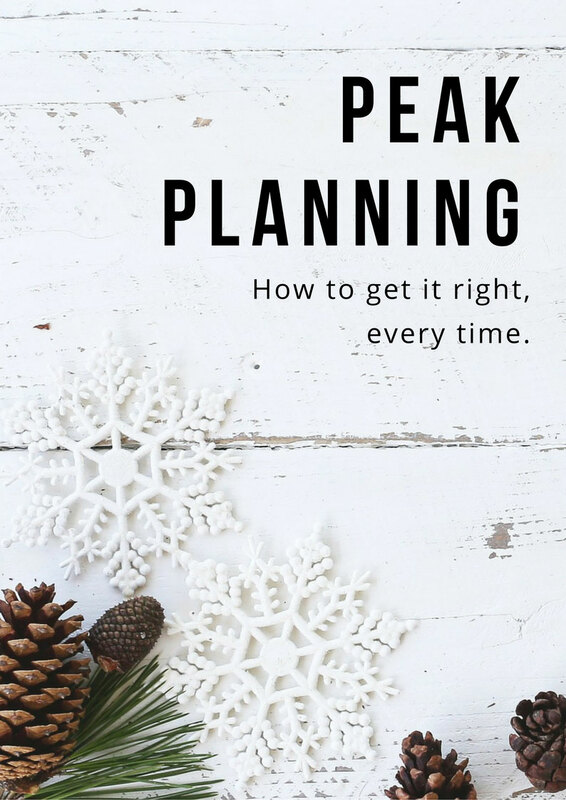 We’ve put together this eBook to guide you through the peak planning process. Whether you’re a first timer, or adding to an established routine, we’re sure you’ll find something useful. Pop your details into the form below and a copy will be with you shortly! Optional but nice to know!